﻿ Best e-commerce solution provider for online book store and other business. Gyanamhub is the one-stop online books destination for all your books readers. 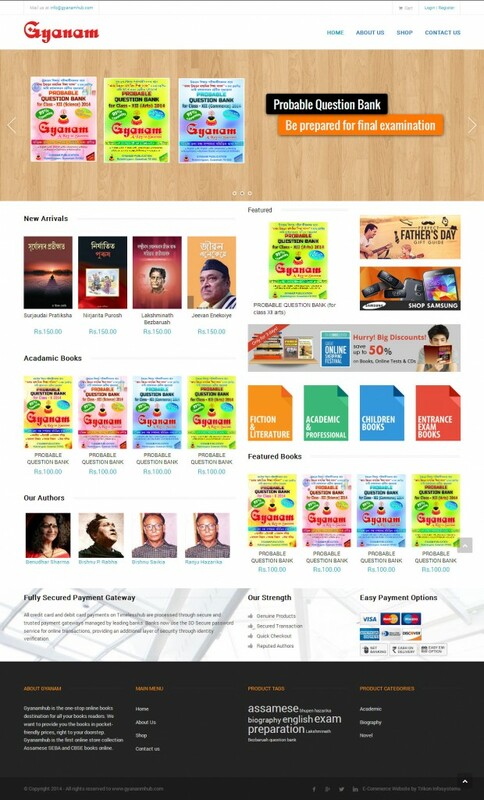 We want to provide you the books in pocket-friendly prices, right to your doorstep.Gyanamhub is the first online store collection Assamese SEBA and CBSE books online. SEBA BOARD based books for class X to XII is available at gyanamhub. In spite of that we are happy to serve the bulk schools or institutions order of blackboard, whiteboard, markers, textbooks and school’s other accessories. We believe on both quality and service. We land with Assamese novels, short story, biography and other books. We are the first online Assamese books hub.